FACES’ cleft lip and palate trips are busy, to say the least. We have an influx of patients, families, hospital staff, social works, Lions Club members and more coming in and out of Belen Hospital every day. But, after the dust has settled a bit, we like to collect all of our patient data, and break down our demographics by the numbers. It gives us a more clear picture of who we are seeing, where they come from and what kind of procedures they are receiving from us. It’s important because it helps us with the ‘big-picture’ view of FACES. 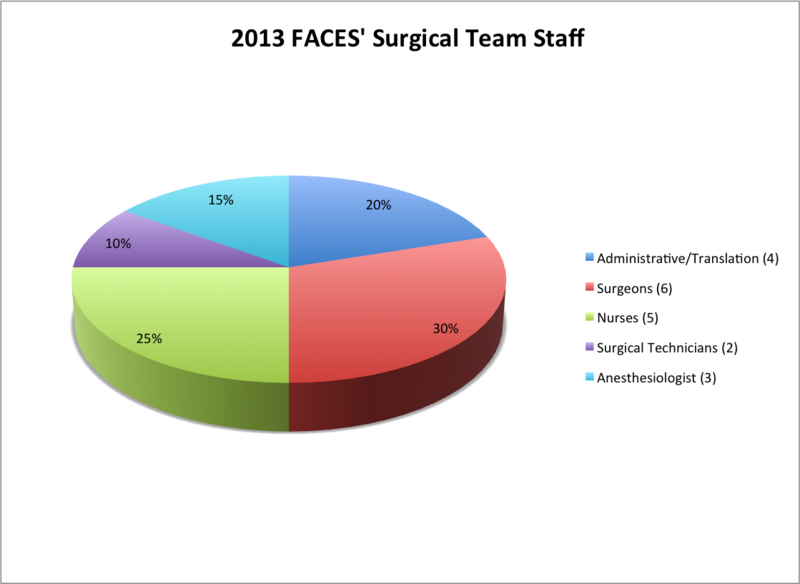 Take a look below to see some of this data that we collected from our 2013 Surgical Trip. 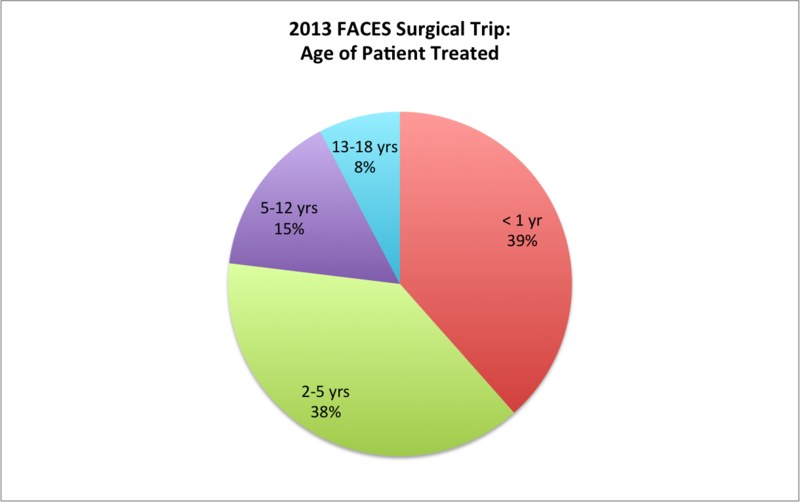 *The majority of FACES’ patients are under 5 years old (77%), with about half of those being under one year old. *FACES normally does an even spread of cleft lips and cleft palates during surgical trips. 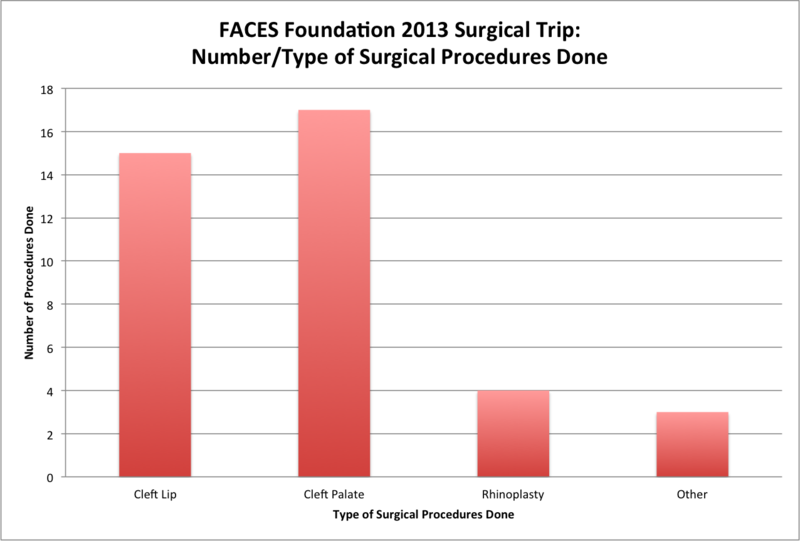 On the 2013 surgical trip FACES actually did more palates than any other procedure. Some were palate repairs and some were the initial palate surgery.